Our family run B&B is a beautiful period house in the picturesque village of Rowsley in the Peak District National Park. 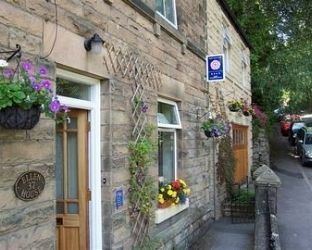 It is one of the closest B&Bs to Chatsworth House, Haddon Hall and Bakewell, all within a three mile radius. There are footpath walks to these and other popular destinations from the village. A pub and two restaurants are less than five minutes walk from the house. All 3 of our en-suite guest rooms have TV/DVD, Wi-Fi and tea/coffee making facilities as well as a local information folder. Off-street parking is available and a full English breakfast is included in the price. Visit Matlock Derbyshire and the surrounding villages and stay in b and b, hotel or self catering cottage accommodation provided by BedPosts members. Matlock, Derbyshire, borders the Peak District. Nearby is Matlock Bath a former spa resort is set among woodlands and hills, with dramatic views of peaks and crags. The population of Matlock and surrounding area is about 30,000. Matlock, in the valley of the River Derwent, prospered when thermal springs were discovered three hundred years ago. The Heights of Abraham, 750 ft above the town, are said to have been named by an officer who fought under General Wolfe, because of their resemblance to the heights sealed in the capture of Quebec. At Riber, the 19th century castle, built by John Smedley, a textile manufacturer, was until the year 2000 a zoo, but this had to be closed down and is now residential; the Hall and Manor House of two centuries earlier stand in pleasing contrast. At South Wingfield, 5 miles SE, are the historic ruins of the Manor House (note the tower and vaulted crypt), begun in 1440 and originally larger than Haddon, where Mary Queen of Scots was long imprisoned. 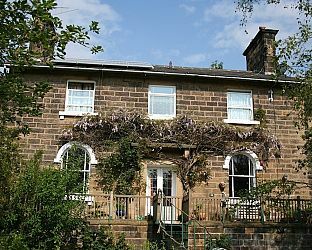 If you seek accommodation near Matlock in Derbyshire you have come to the website of a “club” of providers who offer affordable quality accommodation around UK in hotels, bed and breakfasts, guesthouses, inns, and restaurants plus self-catering cottages and apartments .